Ginevra de' Benci (Born 1457) was a lady of the aristocratic class in 15th century Florence, admired for her intelligence by Florentine contemporaries. 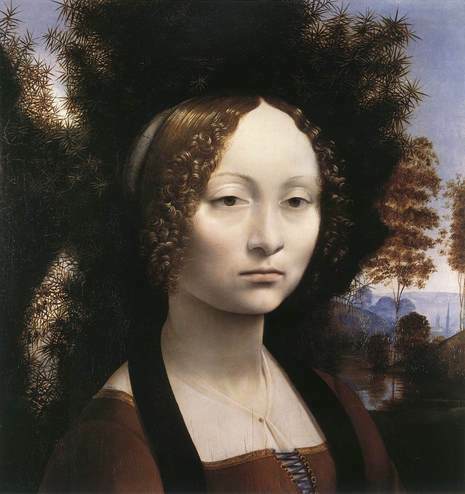 She is the subject of one of only about 17 existing paintings attributed to Leonardo da Vinci. The oil-on-wood portrait was permanently acquired by the National Gallery of Art in Washington, D.C., USA, in 1967 for US$5 million paid to the Princely House of Liechtenstein, a record price at the time. 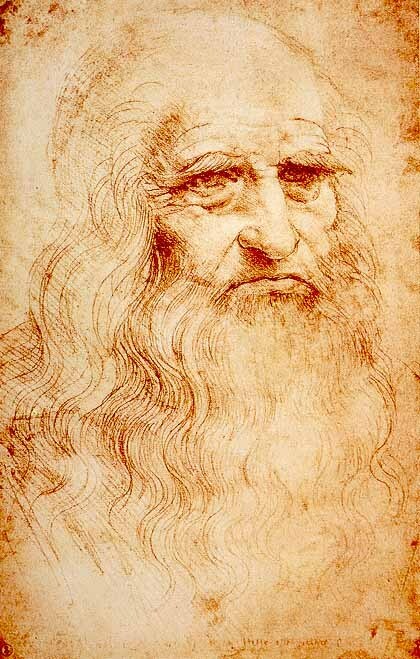 This portrait is currently the only painting by Leonardo in the Americas. It is known from three written sources that Leonardo painted a portrait of Ginevra de' Benci in 1474 in commemoration of her marriage to Luigi Niccolini. The painting's imagery and the text on the reverse of the panel support this the identification of this picture. Directly behind the young lady in the portrait is a juniper tree. The reverse of the portrait is decorated with a juniper sprig encircled by a wreath of laurel and palm and is memorialized by the phrase VIRTUTEM FORMA DECORAT ("Beauty adorns Virtue"). The Italian word for juniper is "ginepro", which suggests that the juniper motif has been used here be a symbolic pun on Ginevra's name. Fittingly, juniper was also a Renaissance symbol for chastity. The portrait is one of the highlights of the National Gallery of Art, and is admired by many for its portrayal of Ginevra's temperament. Ginevra is beautiful but austere; she has no hint of a smile and her gaze, though forward, seems indifferent to the viewer. A strip from the bottom of the painting was removed in the past, presumably due to damage, and Ginevra's arms and hands were lost. According to Giorgio Vasari, Ginevra de' Benci was also included in the fresco by Domenico Ghirlandaio of the Visitation of Mary and Elizabeth in the church of Santa Maria Novella in Florence.